DEWALT is a leading manufacturer of industrial power tools and accessories, including corded and cordless drills, saws, hammers, grinders, routers, planers, plate joiners, sanders, lasers, generators, compressors, nailers, saw blades, metal and masonry drill bits, abrasives, screw driving accessories, and more. 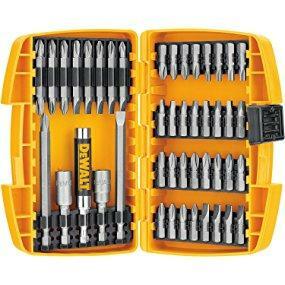 DEWALT tools can be found nationally and internationally wherever tools are sold. With more than 1,000 factory-owned and authorized locations, DEWALT has one of the most extensive service and repair networks in North America. We provide FREE SHIPPING, and will only ship to the Continental United States! We ONLY ship to the confirmed address on Paypal. Delivery time is 3-10 business days. Orders are not processed for shipments on Holidays or Weekends. No shipping to Canada or Mexico. No shipping to PO Box/APO/FPO/DPO. We do not offer combined shipping services or local pickup. Our goal is to provide you with 5-star customer service. US SELLER: All orders are shipped from within the United States. PLEASE NOTE: we use warehouses all across the United States, ensuring your item arrives as quickly as possible. We sell some items on different selling Platforms, In case of an item you Buy is out of stock, we will return your money in full ASAP.